Enjoy a boat ride around one of Europe's favourite parks. With dragon pedaloes, rowing boats and canoes available for hire. Whether you’re planning a small team meeting or a large corporate conference we’ve got it covered. One of the most appealing weddings, wedding receptions & wedding venues on The North Yorkshire Coast. A beautiful, romantic setting and historic location for your special day. St Martin's Church was completed in 1863 and was designed by George Bodley. The beauty of the church is famous in the area and features excellent examples of pre-Raphaelite stained glass. 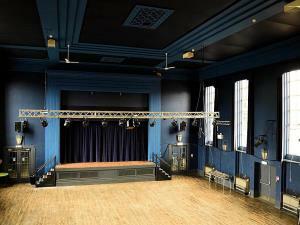 The Spa offers a range of conference suites & entertainment venues including: The Grand Hall seating 2000, home to the Scarborough Spa Orchestra. The Spa Theatre, a 600-seater Victorian Theatre. The Milton Rooms is managed for the benefit of the community by the Milton Rooms Management Committee [MRMC], which is a not for profit charity aiming to sustain its own operations. No disabled access and no baby changing facilities. Our one day coastal foraging Staithes course is a great way to learn about the diversity of edible seaweed and shellfish on our rocky coasts. Amelia's Chocolate, delicious hand-made chocolates by an inspirational young woman. With every confectionary delight hand made with the finest Belgian chocolate and with care by Amelia herself. Whether you're organising a small meeting, a conference or a board meeting, we can provide the right support so that your business event is as hassle-free as possible. Free parking available. Whether you're looking for small and intimate or something more elaborate, Wrangham House is always the perfect host. You can borrow a range of books, DVDs, large print books, music CDs, story tapes and talking books. York House, combined with our own marquee, is ideal for larger weddings of up to 150 guests.